All of finals week I looked forward to blasting and belting out this song. And as it goes, I'm now longing for school and bouquets of sharpened pencils. I can't help but feel the crispness in the air and happily welcome in the beloved season of football games, changing leaves, pumpkins and sweaters. With this comes the want to gear up for school. "It makes me want to buy school supplies." And, what can I say, I <3 college. So, with or without school, I'd like to warmly welcome Fall to show up this month. 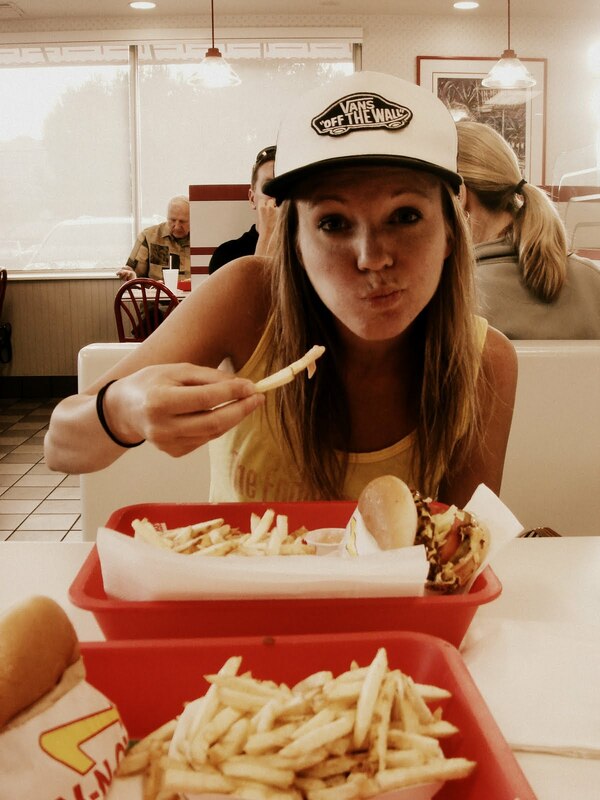 My sister, Kira, wanted to take a little road trip, Carlsbad included! We've been enjoying the beach and all of North County's Beauty for about a week and a half. Soon we'll be in Mesa to visit our sister, Connie, and her family. It's been nice to finally spend some time with Kira. We don't play volleyball. But we play volleyball. 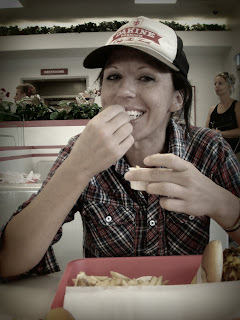 Of course In-N-Out is enjoyed. After my long vacation in Carlsbad, I was able to spend some time at home in Logandale. I got to go to a couple of my little brother, Landon's, football games. I got to do some work around the house with Dad. I got to go running with Tibi. I got to spend some time with Lexie, Sharrid and the boys. I also got to have a neighbor reunion BBQ with these girls! Myself, Lexie, Mady, Tibi, Arie and Austrie enjoying our cheeseburgers and each other's company. I was also treated to a wonderful Sunday School lesson given by Landon. It's coming on Fall, which means, bring on the NCAA football games! Landon gave a very detailed lesson on teams, conference updates, etc. Leave it to Landon to know EVERYTHING about EVERY TEAM. Prep for football season? Check. 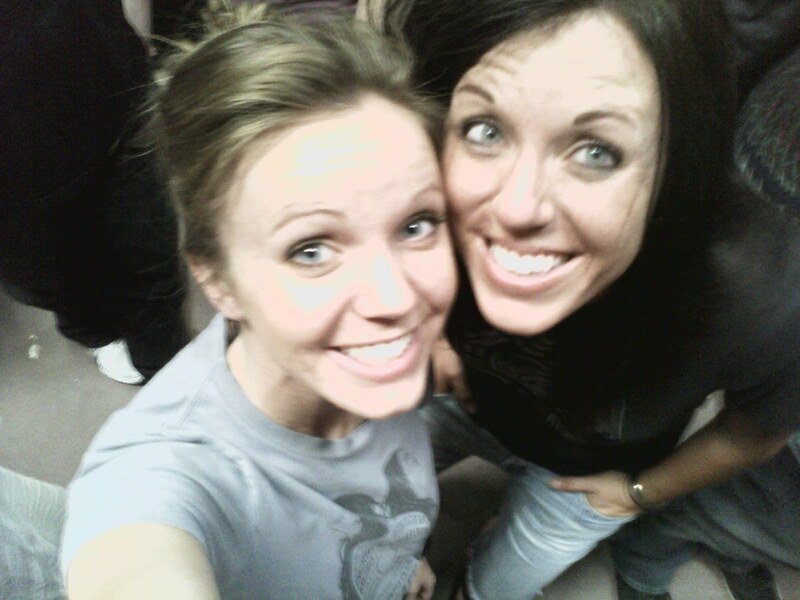 When finals week was over, I headed to SLC to spend a couple of days with my sister Kira before going to Logandale. I had car trouble all the way down. It was all great timing since I was driving down during the hottest part of the day with no air conditioning, not to mention I was on a time schedule. By the time I got to Kira's (well, around the corner and down the street because my car wouldn't quite make it) I was so frustrated, sweaty and upset that all I wanted was a shower, a drink of water and a good cry. Luckily, Kira came and saved the day. She took me to a Fleet Foxes concert! It was amazing! My favorite band at my new favorite venue. It was at the Red Butte Gardens Amphitheater. The weather was perfect, the surroundings were beautiful and the sound was amazing. Easily one of the best, if not THE best, concert I've ever been to. We snacked on Cracker Jacks, relaxed in the cool grass and rocked out with the hippies a bit. Great concert. Thanks Kira! 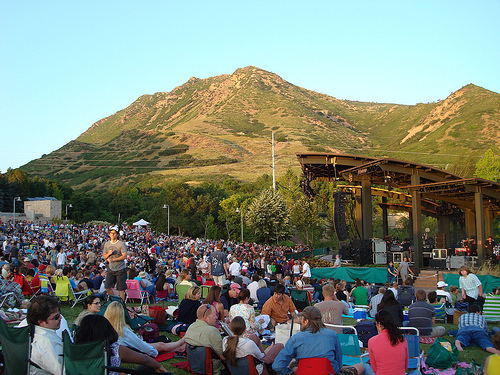 This is the Red Butte. This picture was actually from the Ben Folds concert, but you get the idea.